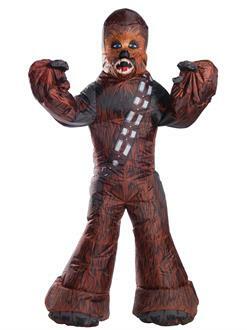 It’s not wise to upset a Wookie, so we make sure that we have a quality Chewbacca Inflatable Adult Costume that will make you very happy. Put on the inflatable jumpsuit, turn on the fan and you will be bigger than life. It covers you from head to toe so you’ll feel like Chewbacca. It has printed designs with images of fur and Chewie’s iconic bandolier. Look equally at home in the Millennium Falcon and your Halloween party.